Scientists have discovered a flare off of the sun’s closest stellar neighbor, Proxima Centauri. Many are reporting that it could spell trouble for any hope for life on its exoplanet, Proxima b—but it might also kill off a presumed set of other planets around the star. The researchers used data from the Atacama Large Millimeter/submillimeter Array (ALMA), dozens of radio dishes in the Chilean desert that can image radio-wavelength light emissions to precise detail. But rather than just average all of the data out, they watched how it changed over time. This new analysis implied that the star actually released a 1-minute-long flare, a thousand times brighter than the star’s usual shine—perhaps 10 times brighter than the most powerful solar flares from our own sun on record, said Weinberger. Their results have been accepted to The Astrophysical Journal Letters. This observation over time meant that the single flare may account for what appeared to be rings of dust, she said—It’s kind of like getting three zeroes and a hundred on three tests. Saying that your average was 25% isn’t telling the whole story. But not all hope is lost for potential life on Proxima b. 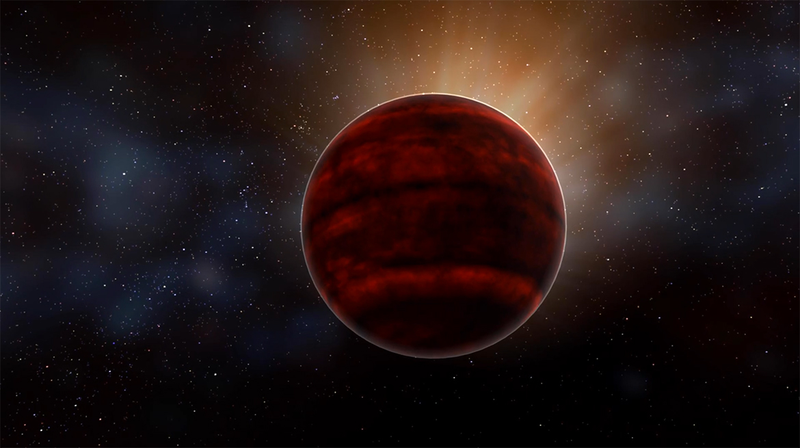 “People need to do some serious work to look at whether an atmosphere or ocean could survive, given the events from the star,” said Weinberger. If an ocean was there it could potentially protect life, for example. But there’s certainly more study required before determining whether the planet is habitable or not. While lots of other folks might be talking about life on Proxima b, this new study is probably more important for what it means to the potential rings of dust around the parent star. Without these rings, there might not be evidence for planets other than Proxima b around our sun’s closest stellar neighbor.